Many apologies for the delay in this Femoir: The Podcast, friends! This episode, I talk having a personality that only knows how to go “All In” on something. I talk about my upcoming web series (again), The Other Client List. I also talk about a girl that makes me giggle like crazy. You can follow her hilarious quips on Twitter. I talk about studying improvisation everywhere I could. Some places include The Second City Chicago, iO Chicago, The Annoyance Theater, with Gary Austin Workshops, at The People’s Improv Theater and at the Master Improv Retreat, UCB, and The Groundlings. Among other places. Like I said… a lot of friggin improv. 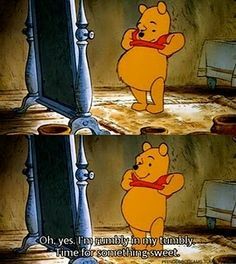 I also try and make reference to this Winnie The Pooh Quote. It’s a good one.